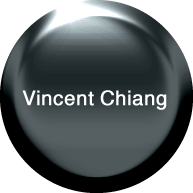 VINCENT CHIANG has shown his academic and professional talents in various fields. He received his M.S. Physics in 1993, LL.M. in 2003, and Ph.D. in law in 2015 from top-notch universities in Taiwan. Before joining the firm, he served as the technical manager at Taiwan Semiconductor Manufacturing Corp. (TSMC) and adjunct professor at universities. As our patent attorney, Vincent focuses on patent prosecution and patent litigation, including among others rendering infringement opinions. His practice fields of technology include semiconductors, liquid crystal display, thin film transistor, optical device, materials, LED, electronics, CMOS sensor, and memory. DYSON CHENG received his M.S. in Physics from Fu-Jen University. Before he joined the firm, he had worked at semiconductors companies. He is experienced in patent prosecution in the fields of semiconductors, thin-film transistors, liquid crystal displays, optical devices, materials, mechanical devices, LED.